T&S Steel Detailing, is a group of steel detailers offering complete shop and field drawings for structural steel fabrication. Established in 2005, the company is located just north of Houston, in Conroe, Texas. T&S Steel Detailing specializes in all facets of structural steel detailing. To meet the engineering and fabrication needs of the industry, T&S Steel detailers use a combination of the latest technology in order to produce complete and precise details. 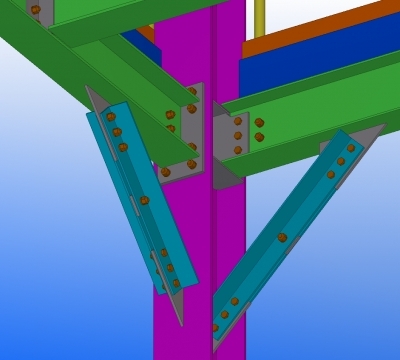 During the checking phase, T&S Steel experienced checkers use both automated 3D detailing software, such as Tekla Structures, and proven procedures to ensure that the quality of each drawing is not compromised. T&S Steel Detailing is dedicated to offering excellent performance, a quality product, and unparalleled service to their customers.